Think global, build social ! 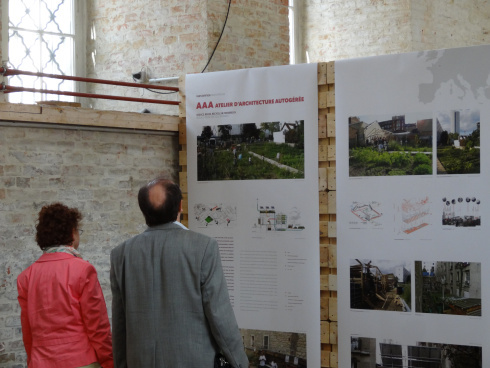 AAA is featured with 2 projects : R-urban and Passage 56 in the exhibition Think Global Build Social at Architecture Zentrum Wien (AZW) 15. March 2014 – 30. June 2014. The exhibition is curated by Andres Lepik. “Think Global. Build Social!” shows current examples of an alternative, socially committed architecture which, with minimum financial expenditure but a great deal of initiative and creativity, attempts to improve the living conditions of people in less privileged areas of the world. Frequently the 22 exemplary projects, curated by Andres Lepik, which include schools, public spaces and housing, are created through close collaboration with the future users and incorporate local building traditions. They do not deny the needs of those for whom and with whom the buildings are erected and ensure a mutual transfer of knowledge. The many aspects shared in common that can be identified in the different approaches and projects indicate that, far beyond “star architecture”, a very different kind of movement has emerged in contemporary architecture that is directing its attention to the social questions of global community.